Summer is flying by. Summer road trips will soon be but a not-so-distant memory of everyone packed into the car like sardines and echoes of “are we there yet?” still ringing in your ears. If this describes your recent summer getaway, it sounds like the family road trip proved your current vehicle isn’t quite large enough to seat everyone comfortably. Whether on the hunt for a more roomy option due to a recent road trip experience or because you want to avoid such drama on an upcoming family adventure, look no further than your local Dodge dealer. That’s right, I said Dodge. The mere mention of the name Dodge may conjure up images of muscle cars with powerful engines that, while fun to drive, do not offer nearly enough seating capacity to suit your needs. But there is more to Dodge than the roar of an engine as it races down the quarter-mile. Three Dodge vehicles offer seven-passenger seating that is perfect for a family road trip. Probably the most obvious is the Dodge Grand Caravan. Ranked among the top 10 on both Kelley Blue Book’s (KBB) Most Affordable 3-Row Vehicles and Autobytel.com’s 10 of the Best 7-Passenger Vehicles, the Grand Caravan can comfortably seat your entire family and still stow everyone’s gear. Standard Stow ‘n Go seating, seven passenger airbags and a 3.6L V6 engine make the 2016 Dodge Grand Caravan an excellent vehicle for anyone that simply needs more space. The Dodge Journey, with an optional third row, also ranks among KBB’s most affordable and claims the title of America’s least expensive three-row SUV. The 2016 Dodge Journey SE with an optional third-row seating package has a starting MSRP of just $23,790 and includes features such as second-row, in-floor storage. 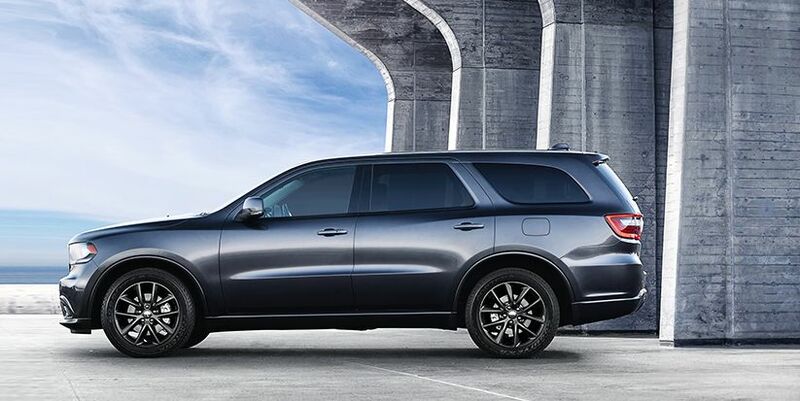 Last but most certainly not least, Dodge Durango also makes the ranks of Autobytel.com’s 10 best. Not only does the Durango seat up to seven, it also provides ample space for everything everyone wants to bring with 84.5 cubic feet of cargo space. If that’s not enough, opt for the 5.7L Hemi V8 with 360 horsepower and a 7,400-pound towing capacity and load up everything but the kitchen sink. From sticker prices under $25,000 to a powerful people-mover, the Dodge lineup has options that could make your next family road trip your best one yet.